Dan Hsieh is currently Chief Innovation Officer for ION Media Networks, Inc., a leading provider of television content and technology. Mr Hsieh’s role at ION is to help formulate the company’s overall strategy, to evaluate and execute strategic transactions, and to develop new business opportunities. Before joining ION, Mr. Hsieh served as president of MTC Services LLC and was a strategic advisor to leading media, technology, and private equity firms, focused on developing new content-related business. Previously, he was Senior Vice President of Corporate Strategy, Business Development, and Technology for The Walt Disney Company, and a partner at William Kent International, a management consulting firm that specialized in developing international strategies for multinationals. 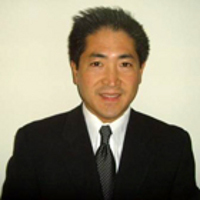 Mr. Hsieh has an MBA from the University of Chicago, and an SB from Harvard University.